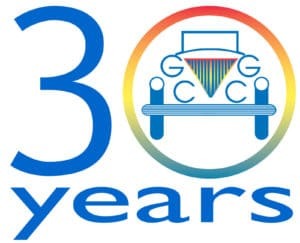 2018 sees the GCCG celebrate it’s 30th anniversary. As well as hosting an extra special Eurotour in May we plan to have a large celebratory stand at the NEC Classic Motor Show in November. Also if you have any large promotional items from car dealers in the late 1980s (signs etc), even better if they tie to 1988, these would be very welcome.